Welcome to the Greater Seattle Hockey League 3 on 3 league! The idea of 3 on 3 is to help beginner/novice players build and enhance upon their skills that they've learned through the league's learn to play hockey programs. Registration open now through end of day, Tuesday, April 30. Season begins Thursday, May 9 and ends on Thursday, July 9. Games are held weekly on Thursdays. Game times of 8:30pm-9:30pm AND 9:45pm-10:45pm. All games at Olympic View Arena with the ice split with boards at the center red line. 2 games played simultaneously, each with a 3 minute warm up and 2 x 28 minute run-time periods . Games will be scored. No individual player stats. Team sizes will be 10 skaters + 1 goaltender. Skill levels should be division 6 - 8 level players. If GSHL determines that your skill level is too high, you may be removed with a refund. If you don't have a team to join, GSHL will find one for you. Cost per skater: lump sum of $235 for the 10-week season, payable in Dash. Cost per goaltender: complimentary, but must register in Dash. Please keep in mind that the GSHL expects good sportsmanship, and that aggressive or dominant play is not tolerated. All players should sign up to play for fun and not to anticipate a competitive game. The GSHL reserves the right to rebalance player parity if it deems that any particular player(s) or team(s) skill level is too high for this program. 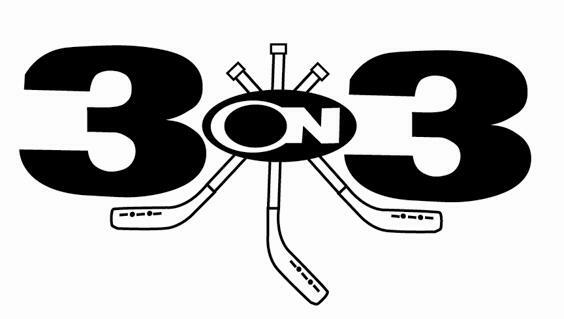 If you have any questions about GSHL's 3 on 3 league, please email LetsPlay@GSHockey.com.